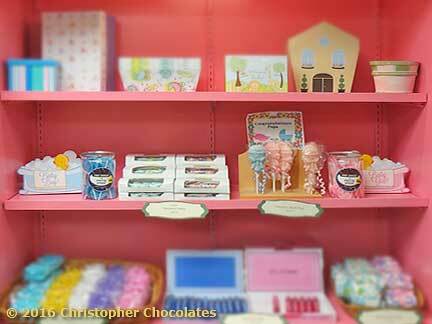 Christoper Chocolates - Specialties of the house! Things you can easily find here, but probably not at all over there! Need something for a special kid? 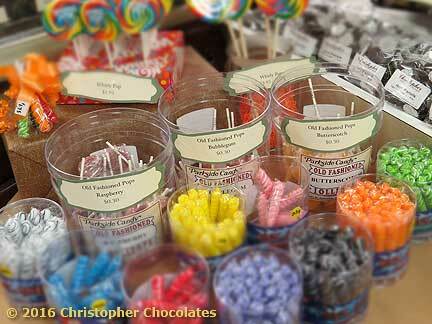 This is the place to be, with krazy lollipops and lots of kids favorite candies plus the trending trends. Sweetening up New Baby arrivals for generations! 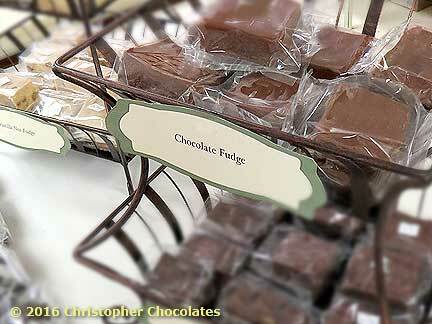 Finally a fudge you'll love to get into. Great for snacking and sharing and a really rich chocolatey (or vanilla-ey) experience to boot. Pick up some fudge and prepare yourself for pure blissful fudgey perfection. Chocolate, Vanilla, Chocolate Nut, Vanilla Nut & More: $9.95 /7oz. What could be easier than Hard Candies? (to savor and enjoy) Convenient enough to be a great little portable boost for later in the day. 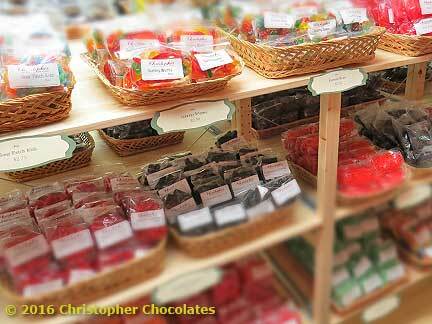 With flavors broad and wide plus "unmatched convenience" hard candies have ruled the world for generations. Too many varieties in store to list them all now but it's on the list! If you're looking for it we can get it. 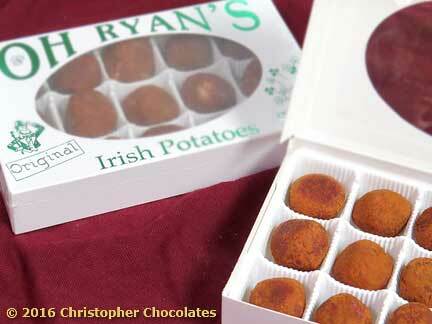 Oh Ryan’s Original Irish Potatoes! The Original! Oh Ryan’s Irish Potatoes. Some argue that Irish Potatoes came with original Irish settlers in the Philadelphia region (They brought coconuts?) where others think they were a happenstance invention of this area with it’s particular trade. Those who know magic is real know that the leprechauns, in wish for a tastier treat than a plain old Potato wished up a sweeter mix. When they cast a spell on the Potato field the magic happens and there you go! A rich treat crafted with flavors of coconut-cream, richly rolled in cinammon. A great seasonal treat from the original recipe to share at Easter, St. Patricks Day or whenever the Leprechauns get hungry. 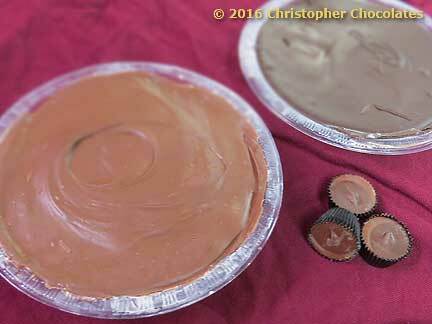 Chris' GiHugic© Peanut Butter Cups. For generations we’ve settled for simple bite-size peanut butter cups but now? A new era hath begun! The Christopher Chocolate GiHugic© Peanut Butter Cup makes itself known for the biggest pack of Peanut butter meets chocolate. Large enough to slice like a pie. They are great to break up and share with some friends or chill and break up into other desserts. Always makes a major impact and sure to please hosts and guests alike! 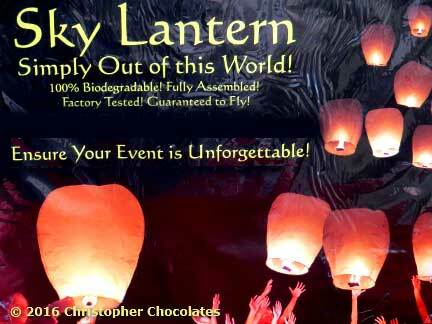 The sending of a Sky Lantern adds such a peaceful and thoughful touch to any ceremeny whether of celebration or moving some of life's moments. The combination of using the heat from the lantern to float peacefully into the distance gives us a chance to pause and share appreciation. We stock white and colored lamps as well.